Corn is genetically modified. Corn is nutritionally empty. Corn is the devil’s carb. If you agree with any of these statements, stop reading and start making these cookies. You will change your ways, I promise. Because corn is delicious. Seriously guys, these cookies are THE BEST. 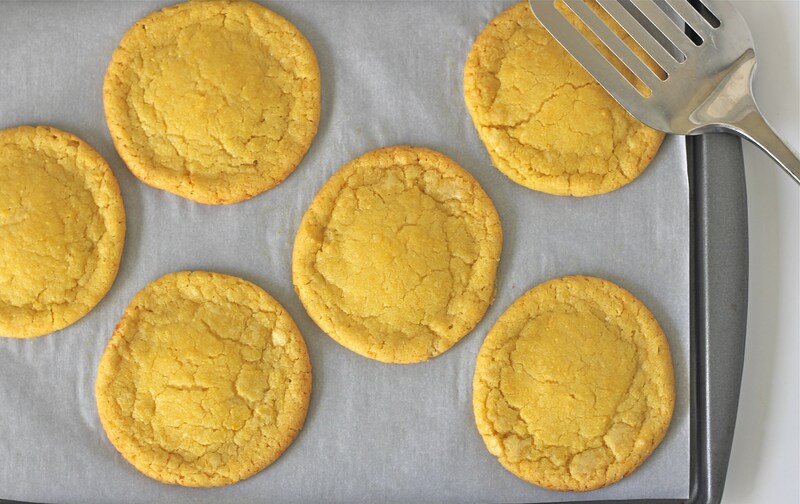 If you like corn muffins or corn pudding, you will love these cookies. Add to the hitlist of Momofuku Milk Bar Exams thus far. 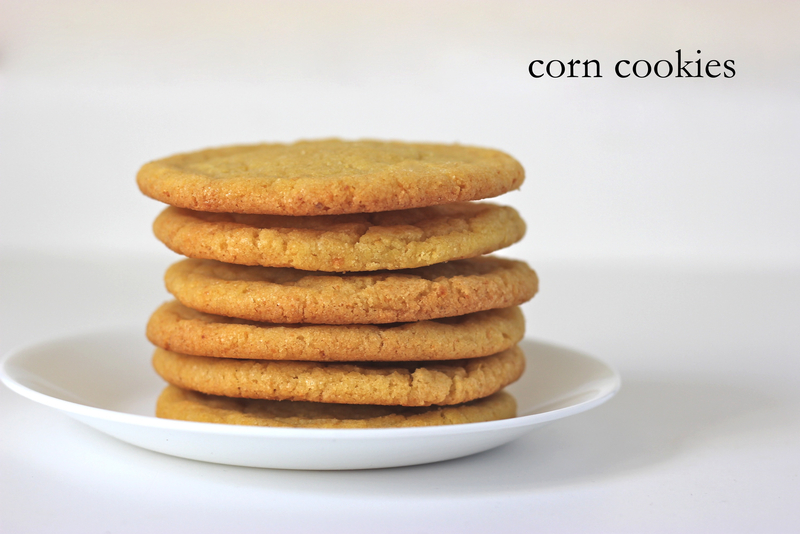 The corniness in these cookies comes from corn powder and corn flour. I got the corn flour at Whole Foods but the corn powder was a little harder to find. Christina Tosi makes her corn powder by grinding freeze dried corn in a blender… but the two Whole Foods I went to surprisingly didn’t have freeze dried corn. It can be found pretty readily on Amazon but only in multiple packs and I don’t really need 3 pounds of freeze dried corn. So when I found a packet of freeze dried corn at Fairway, I jumped for joy (literally, it was on the very top shelf). You can also buy them online on Just Tomatoes or just buy the corn powder straight from the Momofuku Milk Bar website. Just buy them somewhere, anywhere, for the love of God. Because I really want you to make these cookies. No, I’m not talking about that terribly sappy movie with Richard Gere and Winona Ryder. Though, I could never really bad-mouth Winona as Little Women has been, since 5th grade, my go-to rainy day movie. Actually, the origins of my last name Choo (추) mean ‘Autumn’ or at least that’s what my mom has always told me. Regardless, I like to think that’s why I have such an endearment for the fall season. I love watching the weather cool down, the leaves change colors and the consumption of any and all fall desserts. Treats that incorporate the bounties of fall like apples, cranberries and of course… pumpkin! This past week, one of my roommates made these delicious pumpkin chocolate chip & pecan cookies. They were so perfect for the crisp fall weather. When I asked her for the recipe, she told me she got it off this site skinnytaste.com. wait WHAT?! these cookies are delectable AND low fat?? Praise the pumpkin gods! math can be so fun. 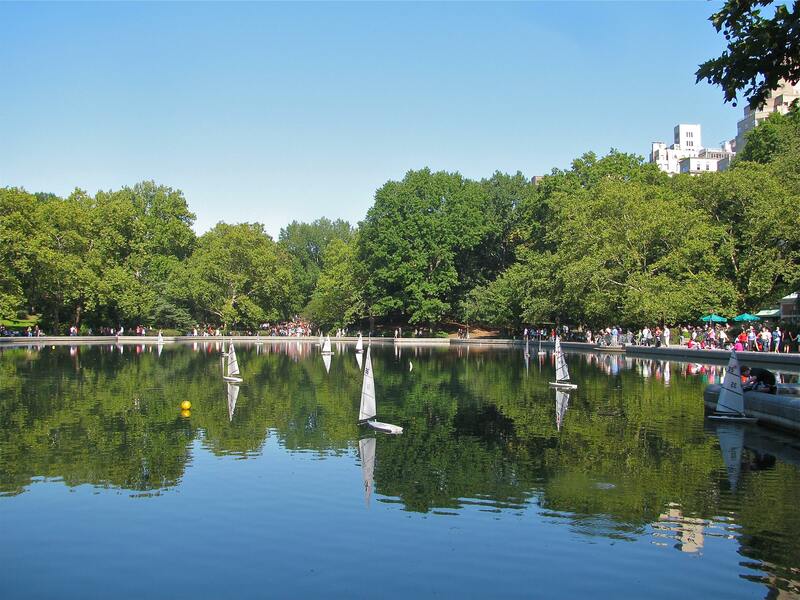 (1) Preheat oven to 350°; line two baking sheets with parchment paper or use a silpat. 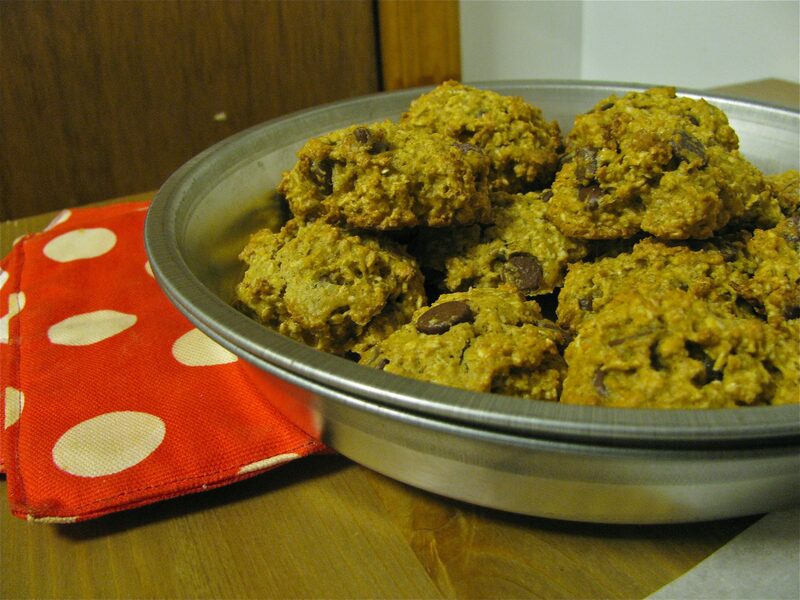 (2) In a medium bowl, whisk together flour, oats, baking powder, baking soda, salt, pumpkin spice and cinnamon. (3) In a large bowl, with a mixer, cream together the butter and the sugars on medium speed. (4) Add the egg, followed by the pumpkin and vanilla extract. 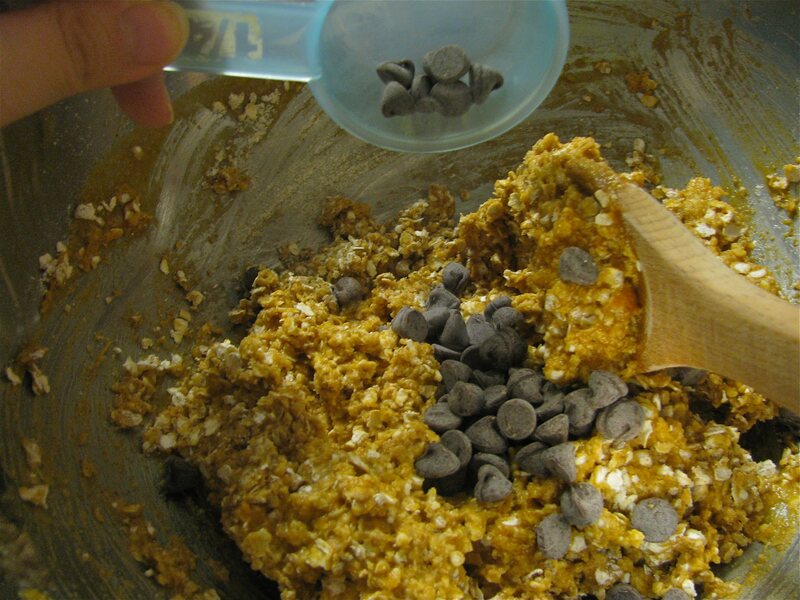 (5) Working by hand, stir in the flour mixture and the oats until just combined and no streaks of flour remain; stir in the chocolate chips. (6) Drop 1 tablespoon of the dough at a time onto prepared baking sheets. Bake for about 10-12 minutes, or until cookies become light brown at the edges. (7) Cool on baking sheet for 3 or 4 minutes, then transfer to a wire rack to cool completely. These were such a hit at work! not a crumb left in sight (unfortunately). I HIGHLY recommend making them. like NOW.